LPDA-A0090 is a high-power log-periodic dipole array covering 30 - 100 MHz with 2 kW power handling and 7 dBi gain for 60 degree E-plane and 105 degree H-plane 3 dB beamwidth. It is intended for fixed site installation and has adjustable polarization. Polarization can be changed between vertical and horizontal without lowering the mast. The antenna breaks in three for compact storage, and can be fully unpacked and assembled by two people in about 10 minutes. 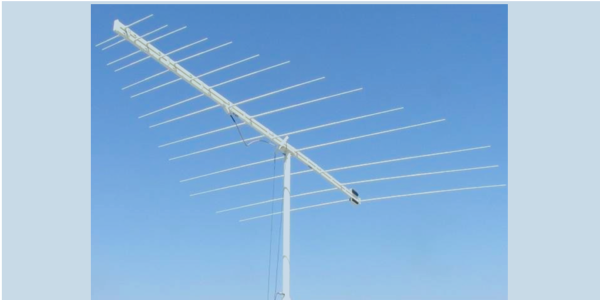 The antenna can also be used for reception of signals up to 400 MHz.